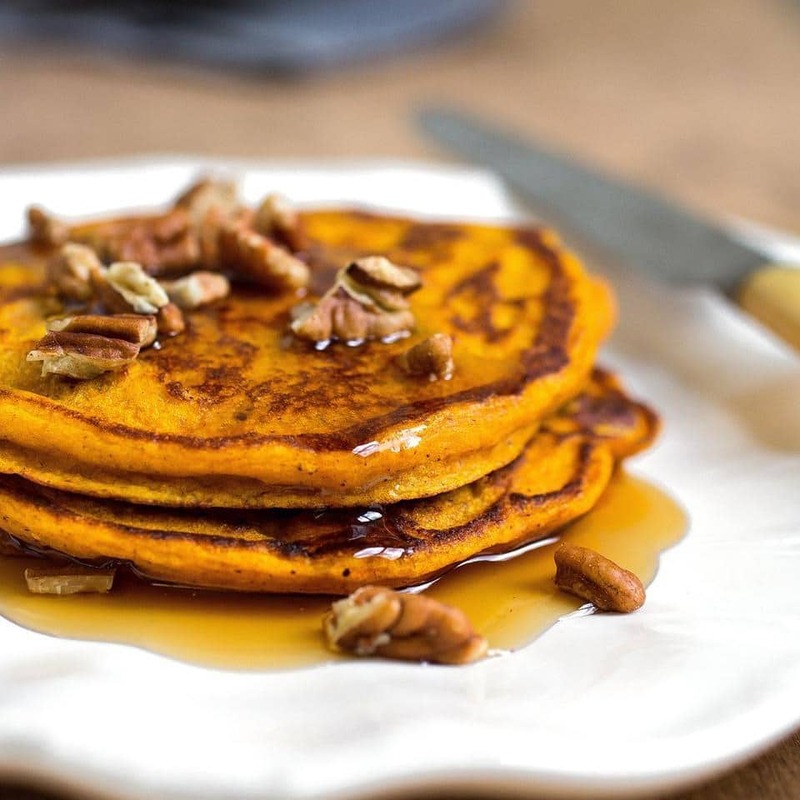 The Best Vegan – Pumpkin Spice Cannabis Pancakes You’ll Ever Eat! 1) Add soymilk and lemon juice into a small bowl and whisk together until combined. Let sit 5 minutes. 2) Meanwhile in a medium bowl add the flours, baking powder, baking soda, spices and salt. Whisk together to fully combine. Set aside. 2) Mash the bananas in a large bowl, taking care to leave a few lumps. Add the CannaOil, agave nectar, vanilla extract, and soy milk mixture. Whisk together until combined. Set aside. 4) Place a large skillet over medium heat. While heating up..
3) Slowly add the dry ingredients into the wet ingredients, stirring until just combined. Make sure there are no dry ingredient lumps in that batter! 4) Once skillet is heated, lightly butter and test a baby-sized pancake to check for correct heat level. The pancake should begin bubbling and cooking through on the sides without burning on the bottom. 5) Once your heat level is solid, drop the batter into the skillet (about ¼ cup each) and cook for about 5 minutes on each side, or until browned and cooked through. Hold in a warm oven until ready to eat. Top with agave nectar or maple syrup and enjoy! By mixing the soymilk with lemon juice, we have mimicked what buttermilk would do in a non-vegan pancake. The mixture adds a great depth of flavor and wonderful texture to our canna-cakes. Also, by using ripe bananas as the base, our pancakes are going to brown up very beautifully, just like if there were eggs in the batter. Use these baking tricks for your future vegan baking adventures! *Dose Wisely: The CannaOil amount in this recipe is a suggestion, and is highly variable depending on the strength of your CannaOil and the potency you are going for. Use this amount as a guideline to figure out the right amount for your situation. The best way to test for potency is to start with one portion of your meal, wait an hour, see how you feel, then snack on more if it feels right. Listen to your body! Make smart dosing choices and munch wisely!